Rice Lake, WI – It’s motorcycle season! 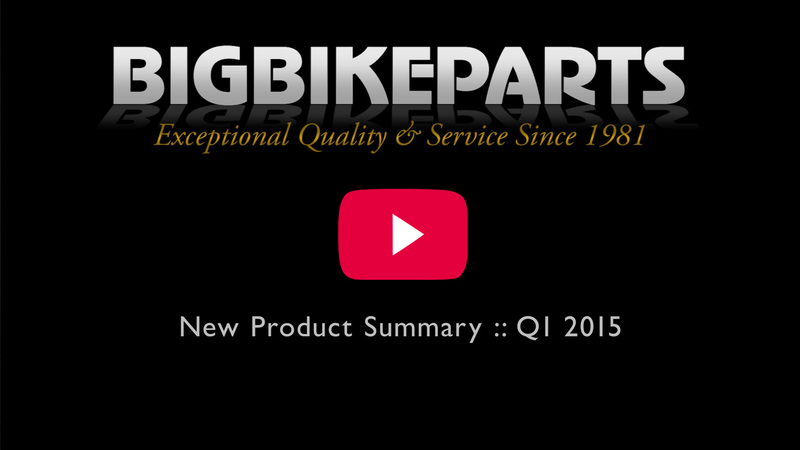 With the first quarter of 2015 behind us Big Bike Parts® is seeing significant improvements in the marketplace, making this season promising for both dealers and consumers. Big Bike Parts® understands the consumer’s frustration in trying to find accessories they can touch and feel, but dealer inventories are low and consumers must rely on online stores to buy accessories sight unseen. Good news though, dealers are stocking up, recognizing that consumers want a fair price today instead of waiting for online retailers that may not even have the product and charge for shipping. Big Bike Parts® is hard at work for 2015 by introducing 23 all new accessories in the first 13 weeks of the year. This includes the introduction of a Smart Mount that allows the attachment of accessory Gadget Bars, Smart Phone Holders or Big Bike Parts® market leading Beverage Holders. The Harley rider has seen six new accessories as Big Bike Parts® responds to dealer and consumer requests, including an all new weld free CNC Aluminum Trunk Rack, new Windshield Pouches and a Fairing Vent and Vent Screen for the new FLH fairings. A new Beachcomber folding passenger, driver and highway board already has seven fitments with more coming. The Can Am Spyder market has five all new accessories including the first custom Rear Mud Flap extender for the RT. Spring and the riding season are upon us. Check out all the new accessories from www.BigBikeParts.com and visit your nearest dealer to get yours today. Safe riding! 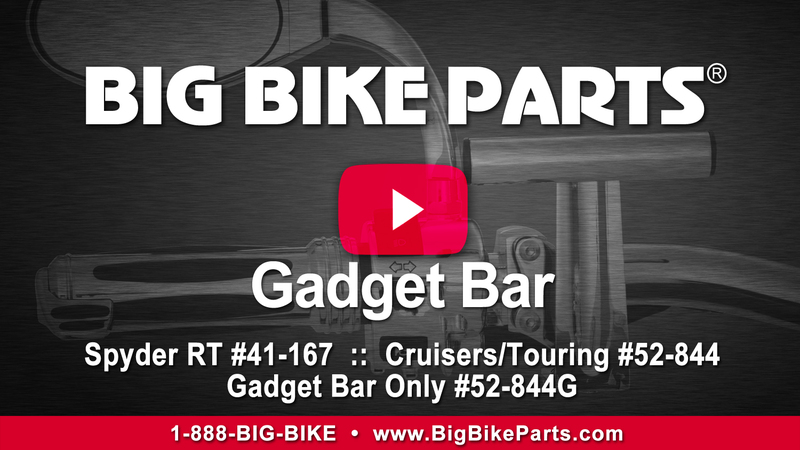 Rice Lake, WI – This new Gadget Bar from Big Bike Parts® snaps into their Smart Mount™ accessory receiver as used on their beverage holder and smart phone/GPS holder. The Gadget Bar’s 7/8’’ round tube and 4 ½’’ width allows for placement of additional handlebar mounted accessories and gadgets, should the need arise. This universal Gadget Bar will accept any attachment capable of mounting to a 7/8’’ handlebar, allowing you to bring everything and mount it within easy access. Can be ordered with a complete handlebar mount or separately to fit with your existing beverage or Smart Mount™ GPS/phone mount.